Stop in and get a quote on your Insurance Policies and we will give you a $25 gift certificate to a local merchant! Get 10% off supplies, food, grooming, bedding and litter. Does no include sales items. Free one hour portfolio retirement planning consultation. $10 off first month's tuition or a FREE Zumba Class! 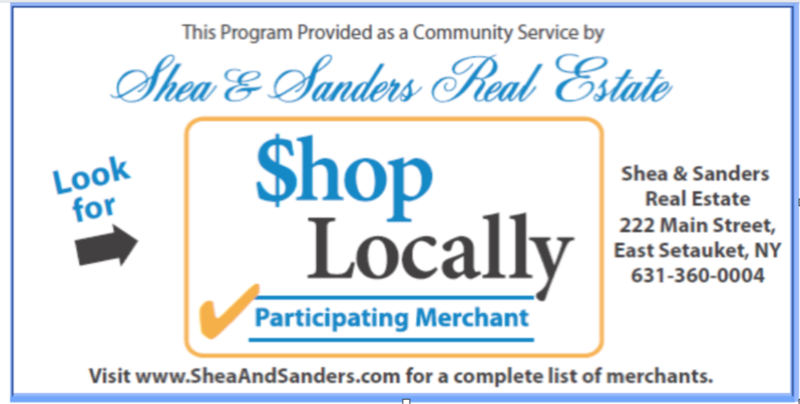 10% off labor for businesses within the 3 Village area. Shop Locally Participants: 1 year of Carbonite Offsite Backup Basic for $55. Back ups unlimited data on a single PC, multi-year options available for even more savings! 10% off entire invoice every Wednesday, no items excluded!